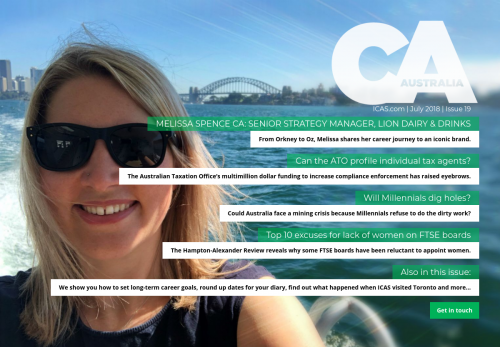 From Orkney to Oz, Melissa shares her career journey to an iconic brand. Can the ATO profile individual tax agents? The Australian Taxation Office’s multimillion dollar funding to increase compliance enforcement has raised eyebrows. Could Australia face a mining crisis because Millennials refuse to do the dirty work? The Hampton-Alexander Review reveals why some FTSE boards have been reluctant to appoint women.